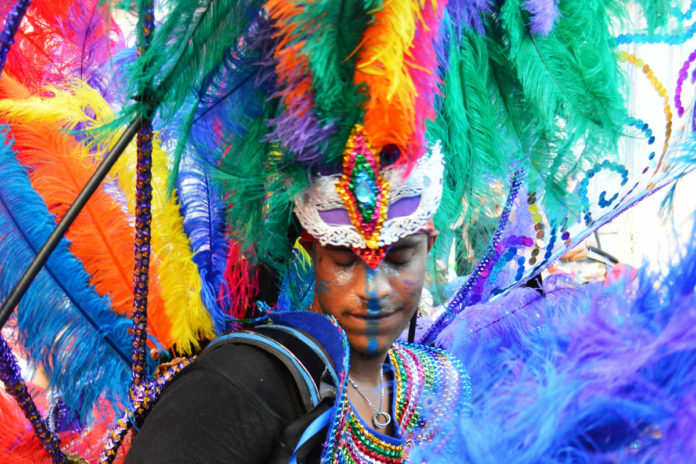 A meeting of everyone involved in Notting Hill Carnival – masqueraders, pannists, calypsonians, band leaders, spectators, residents, community groups and cultural activists – has been called for 6.30pm Monday 25 September at The Tabernacle, Powis Square London W11 2AY. 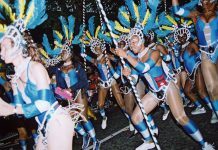 Under the banner ‘Time to Reclaim our Carnival’, the meeting’s organisers are campaigning for Notting Hill Carnival to take a new direction. If you want your voice heard, you need to be there, they say. Dissatisfaction has been growing over many years about the running of Carnival. 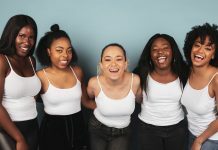 There are particular concerns about the leadership of London Notting Hill Carnival Enterprises Trust (LNHCET), which is widely seen as weak, inept and out of touch. The board appears to have lost respect and legitimacy in the eyes of many carnivalists, and the trustees have gained a reputation for being “the dinosaurs of Powis Square”. Soca News has heard, from multiple sources, serious allegations about supposed misuse of public funds, the amassing of reserves (not allowed under the Trust’s constitution), possible liabilities for unpaid tax, failure to hold proper meetings, a lack of transparent accounting, and concerns about public liability insurance. We emphasise that no evidence has been offered in support of these allegations and we presume that they would be vigorously refuted by the board. Nevertheless, it is important that such worries are discussed openly so they can be laid to rest. It is unfortunate that the Notting Hill Carnival Strategic Partners Group (SPG) – made up of Kensington & Chelsea Council, Greater London Authority, Metropolitan Police, Arts Council of England, TfL and LNHCET itself, among others – which ought to be holding the Trust to account, is far from transparent and open in its decision-making. Among carnivalists, anger has been rising about the amount of control exercised by councils and police, especially in the light of calls by a minority of residents, egged on by a former MP, to move Notting Hill Carnival into a park and to charge money for entry. Journalists’ and politicians’ obsession with crime at Carnival – statistically unexceptional for the numbers and demographics involved – is a continuing source of frustration. The unhealthily close relationship between national journalists and the police, and memories of blatant racism on the part of both professions in the past, have fuelled suspicions that the authorities want to end the event or water it down into a commercial music festival with a municipal parade attached. One bone of contention has been the SPG’s hasty appointment of an event manager, London Street Events, trading as Street Event Co (SEC). Soca News understands that the relationship between SEC and some members of the LNHCET board has been fractious, making the company’s already challenging task far more difficult. Some carnivalists told SN before Carnival that SEC staff were “running around like headless chickens”, but since then fingers have been pointed at LNHCET, not SEC itself. 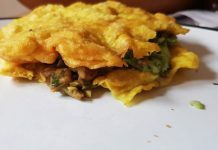 A case in point was LNHCET allegedly holding on to essential forms submitted by bands and not releasing them to SEC until the last minute, critically delaying the issuing of some passes until the night before Carnival. Constantly changing and contradictory demands from the Trust, and board members briefing against SEC, only added to the confusion. Despite this, one band leader told SN he found SEC’s staff to be “very professional”. Elements on the board are also said to have worked hard to undermine SEC’s attempts to build better relations with the media, making it impossible to provide proper facilities near the judging point. The JP itself was under the control of the same individual who previously did so much damage by imposing a £100 charge on journalists and photographers just to enter Great Western Road. That disastrous initiative led to a widespread press boycott and soured relations between Carnival and the media for several years. 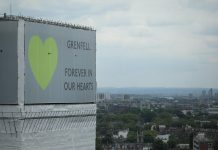 This year, the Grenfell silence prompted the papers to take a slightly more positive approach. Several bands have protested about “heavy-handed” safety and security controls imposed this year, which restricted points of entry to the route and required bands to submit licences, driver ID and other documents in order to take part. We are told that 14 mas bands were not judged, which some blamed on the police holding them up on the road for hours, so they passed the judging point too late to be assessed. However, we have also heard on good authority that certain bands simply failed to fill in the necessary forms for judging. Tensions are rising, too, about the content of Notting Hill Carnival. The proliferation of Jouvert-style paint and powder bands, T-shirt bands and mass-produced bikini-and-beads mas, the decline in participation by children’s bands and the lack of artistic/creative mas on the road have caused considerable disquiet in sections of the Carnival community. Some feel that the static sound systems and the huge commercial ‘party’ bands have too much influence on the Trust’s board. However, two statics lost their pitches in All Saints Road this year on public safety grounds, and the dirty mas bands are set to be ousted from Children’s Day (Carnival Sunday) in 2018 several made their anger known to the judges. Jouvert itself was a sorry spectacle this year, with only a handful of pannists to provide a rhythm for hundreds of revellers. There is a sense that Notting Hill Carnival has lost direction and is being assailed on all sides by people and organisations that don’t understand it and don’t care about it. Carnival’s positives – in terms of community, artistry and the economy (it contributes an estimated £110 million a year to London’s income) – are ignored, while negatives beyond its control, such as crime and overcrowding, are blown out of proportion. Monday’s meeting will be chaired by Professor Gus John and speakers include Michael La Rose, Cecil Gutzmore and Giselle Carter. Many more important contributions, though, will come from the other attendees. Soca News will publish a full report on the meeting in due course.